As Brazil’s CUT trade union confederation was meeting in the industrial capital of Sao Paolo, the TUC has called for new elections as the unelected government of Michel Temer continues its slash-and-burn of the country’s social protections. In a letter published in yesterday’s Guardian, also signed by senior British trade unionists, politicians and campaigners, the TUC accuses Brazil’s government of trampling democracy. 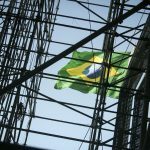 A range of new laws have targeted Brazil’s workers, as workplace rights, social security and public services are swept aside. 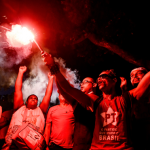 Without a democratic mandate to overturn decades of social progress, it is vital the government of Brazil gives the people a chance to decide the direction the country takes as it faces the aftermath of a constitutional crisis. Temer, who as Deputy President rose to the top job following the removal from office of his former running mate and boss Dilma Rousseff, who was impeached in 2016 by mostly corrupt law makers on an obscure point of budgetary law, has seized his chance to redirect Brazil’s laws away from the policies of his predecessors. 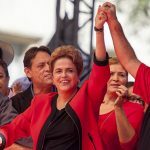 Workers’ Party leaders Rousseff, or Dilma as she is more often known, and previous President Luiz Inácio Lula da Silva (“Lula”), had governed since 2002 on a platform of progressive social policies that were slowly reducing inequality in a deeply divided country. Lula’s famous Bolsa Familia programme, which made cash payments to the poorest families in return for their engagement with state health and education provision, was credited with reducing the proportion of the population in extreme poverty by almost 10% in a decade. Raising the minimum wage and backing collective bargaining by unions also helped. 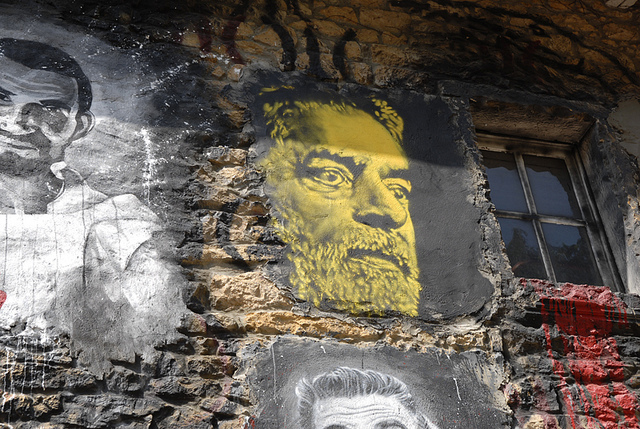 Lula, the former leader of the CUT, was one of the most popular politicians in the world, but Brazil’s constitution bars him from seeking consecutive terms, so in 2010 he passed the baton to his former chief of staff Dilma, who continued his policies. She won a second term in 2014, but shortly afterwards found herself at the helm of a country entering a deep recession, from which it has only recently emerged. Simultaneously, a corruption scandal, involving politicians from all sides, undermined her popularity still further. The Brazilian elite saw their chance and mounted an illegitimate parliamentary coup against the democratically elected President. Her opponents may have hoped that they would be rewarded by public opinion for removing her. It has not turned out that way. 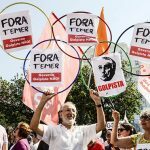 A poll in June put President Temer’s approval ratings at a miniscule 2%, perhaps compounded by the sense that corruption charges laid against the still-popular Lula, eligible to stand against for the Presidency at the next election, are a “judicial blitzkrieg” designed to knock him out of the race. Temer is not just unpopular within Brazil: the representatives of several Latin American states – including Costa Rica, not known for its militant attitude to anything other than nature conservation – walked out of the UN when he addressed it. Temer, a member of the Workers’ Party’s former coalition allies the Brazilian Democratic Movement, has not been deterred from his own blitzkrieg on the country’s social consensus. Despite an early knock back in the Senate, he pushed through a law attacking union finances and undermining labour rights to the extent that Wagner Freitas, General Secretary of the CUT, said that it “puts an end to formal employment.” The new laws make a mockery of the minimum wage, making it easier to avoid, and by watering down the definition of collective bargaining (the employer can now choose who they view as “the trade union”) makes it possible for employers to completely sidestep basic employment rights by negotiating opt-outs with small groups, including overriding fundamental health & safety laws. With unions weakened by these attacks, the government then pushed through a massive austerity programme that would make George Osborne blush: it would limit public spending, including health and education, to inflation-level increases for TWENTY YEARS. The justification, just as in the UK, is the level of public debt, which rose from 57% of GDP before the recession to a still-not-terribly-high 69.5% in 2016. Austerity is now a widely derided fiscal response to government debt: in the UK, even the Tories have now “learned the lesson of the last parliament: you cannot cut spending to fix the public finances.” This is a flimsy excuse for a wholesale cutting back of state provision that will take a long time to unpick, even if Temer and his cronies are swiftly despatched at an early election. The unelected and illegitimate regime is bulldozing not just workers’ rights, but environmental protections, selling out swathes of a reserve the size of Denmark to gold mining interests. As a symbol of the government’s short term determination to enrich the already wealthy at the expense of sustainability, replacing the lungs of planet earth with mercury poisoning and holes in the ground will be a stark reminder of the damage – environmental and human – that this gold-digging government is prepared to inflict to please the few friends it has left. A fresh and early election is urgently needed before the country is dug deeper into crisis.